The Konica Big Mini was released in 1990 and has set itself a place in modern camera history with its ease of use and fantastic optics. The lens on this camera can really give the bigger boys a run for its money. The Big Mini comes with a fantastic 35mm f3.5 Konica lens, which by rights this camera should not have. The lens on this camera is very sharp and has excellent contrast rendering. It often surprises people how good the lens is in this camera, it certainly did for me the first time I used one. I shot a lot of black and white in these cameras and found that I would have to label my images so that I didn’t mix them up with my Ricoh Gr1 (perhaps that is me though, I am a bit forgetful at times). The controls are simple and easy to use, the camera is basically automatic and there are no manual controls. This might put some people off, but that shouldn’t as the camera is a point and shoot after all. This is a great little camera to take as a back-up camera. I found that this camera is also great for taking to gigs, events or parties. You are not going to be worried about damaging a camera that cost less than the drinks bill for the evening. There were couple of different models available, though there is not a great deal of difference between them, the 301 has the date back and the 302 does not. Apart from the Big Mini F, the F came with faster f2.8 glass and an exposure compensation setting. The price is still higher for these too. The F comes in a fancy brushed silver finish and looks fantastic. Yet, it is still an inexpensive camera that has everything that you could possibly need. The viewfinder is nice and bright and has an LED to let you know about the flash and if you are too close. But that is not an issue really either, as there is a close up button on the top of the camera so you can get that little bit closer to your subject (though you may deafen then). 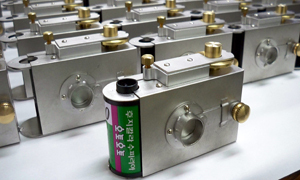 It is a noisy little beast, they are not what you could call a stealth camera, the advance makes a lot of noise. They are pretty fragile. The Mini has a habit of dying, but at the end of the day they are so cheap that you can just buy another. 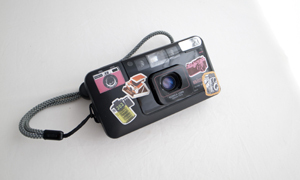 The main problem seems to be the ribbon that connects the control panel on the back of the camera. Make sure you take good care of this bit. Er, that is it. I love this little camera and have had a lot of good times using one. So, give the Big Mini a try, you are going to see why this camera can stand next to the big boys. Unfortunately I no longer source these cameras. They are too hard to find now. 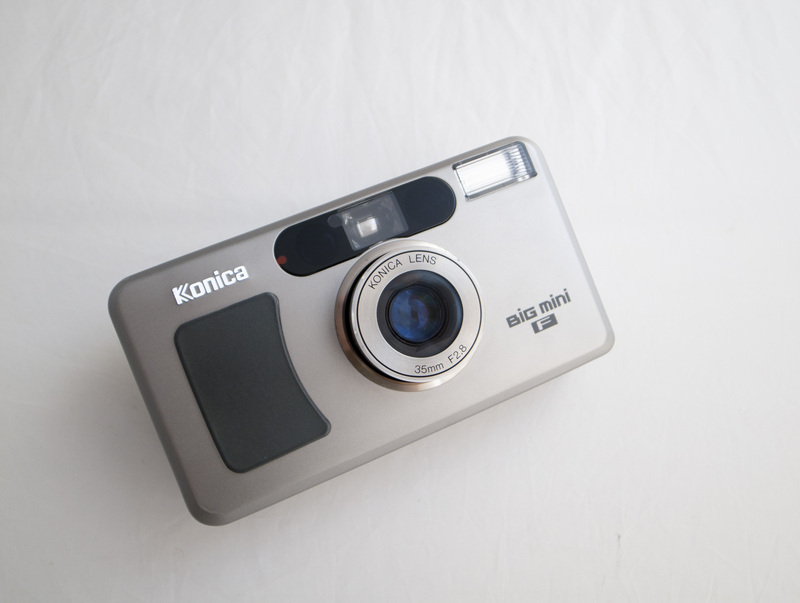 A hearty plus one on this vote for the Konica Big Mini. It has this crazy combination of “je ne sais quoi” that makes it a compelling camera beyond what the spec sheet might suggest. I like in particular how it sits in my hand. I have the Mju II-it’s a bit too small. I have the Leica Minilux it’s a bit of a horse. Heavy. It’s got an accurate meter with easy exp. comp setting. Slide film? Bring it on. It has very low shutter lag. Something that really pumps up the feel in real world use. So many P&S have that small but frustrating lag to their shutter release. Nice range of speeds. I’m pretty sure will go as slow as 7s if needed. All that said it really packs a lot of flexibility into a lovely little package giving up very little to the heavy, more cumbersome alternatives. Last thought, I think the noise issue might be slightly overstated. Yes, it makes some but it’s a crisp, prompt whirring that is quite pleasant (to my ear). The Minilux is the quietest motorized camera that I’ve ever used and you can barely here either the shutter or the advance motor…I will defer to JCH’s breadth of experience as to how the Konica rates against the Ricoh (I so want a GR1! ), Contax etc. etc. If you see one of these get it. Yup. Mine is on its last legs, and the display on the back has gone which means I can’t keep track of how many shots I’ve taken or turn the flash on and off. On the look out for another one…. Not much difference among them all, but I believe the first Big Mini you show is a 201 or 202. The 301 and 302 had the same body styling as the F. My 302 has EV compensation. Terrific little cameras. What about Konica Big Mini EX (BM-101). Is it the same league as 201 & 301 models? 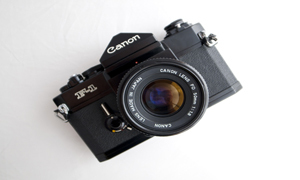 I have the opportunity to buy it, but cannot find any informations about the lens, which is 34mm, so probably different, or maybe slower? Great article! Am particularly curious with the Big Mini Neo, the model which had the 35-70 Zoom lens built in. Are those any good? Found some in the bargain bin for $2. I believe that the Big Mini you are referring to in this article are the fixed lens models so am really interested if the image quality is at par with the zoom one. Just taken apart a Konica bm-311z due to there being no settings showing on the back display does anyone know where I can get a new wire due to this being broken so I can replace it to have a full working camera again.have also got to get to the front of the viewinder due to lots of dust build up inside. 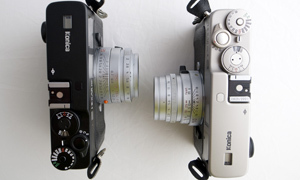 The Big Mini F shared a lens with its predecessor by a decade, the Konica MT-11. I have had a BM-300 sitting around for about a year now after having it handed down by my Mother. I don’t recall it ever getting used and it is in pristine condition. I’m not sure even a single roll of film has passed through it. I was given the ‘family camera’ about 10 years ago, which is a beautiful Canonet QL-19 (sadly not the much sought-after QL17). I’ve moved house recently and taken things out of storage. I’m looking forwards to playing about with this thing. 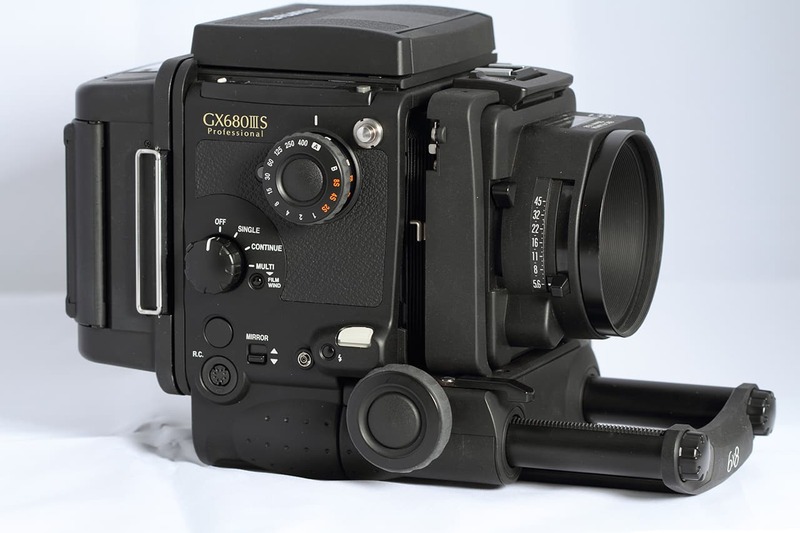 It is lovely and light and the viewfinder is much brighter than I was expecting for the size and seeming simplicity of the thing.